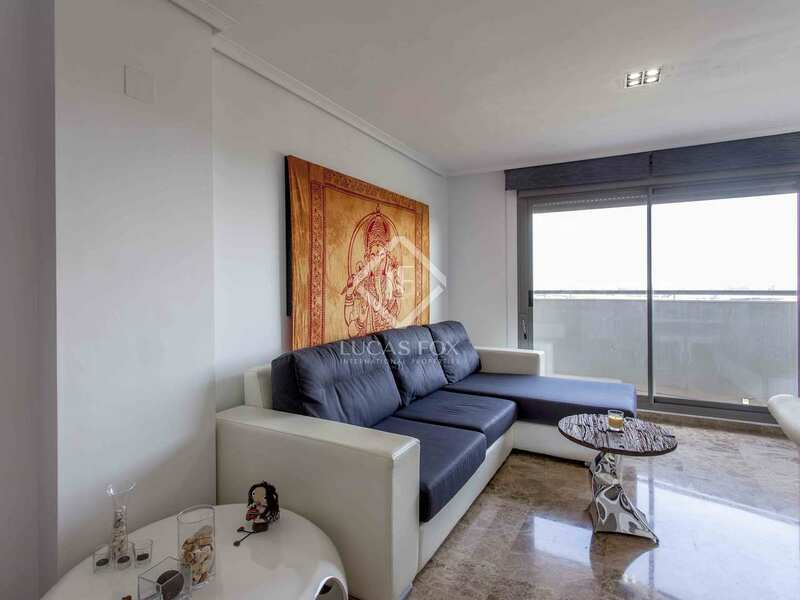 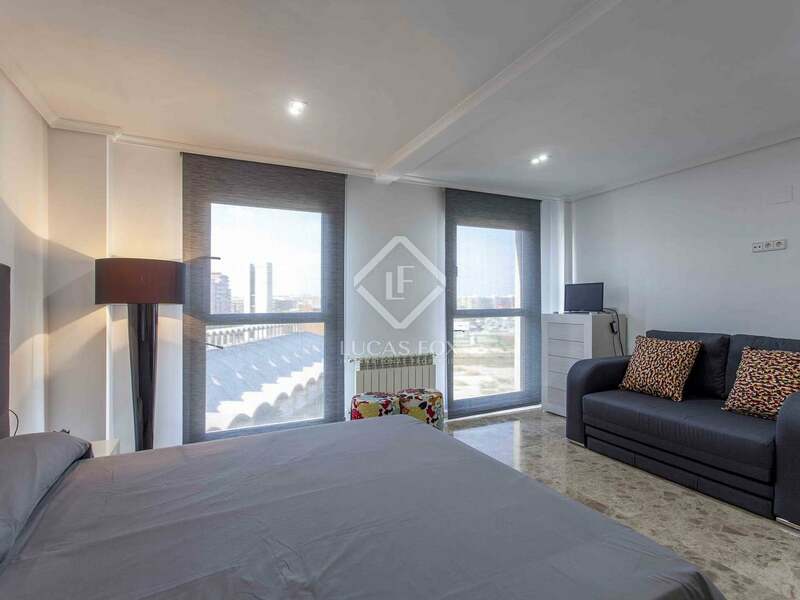 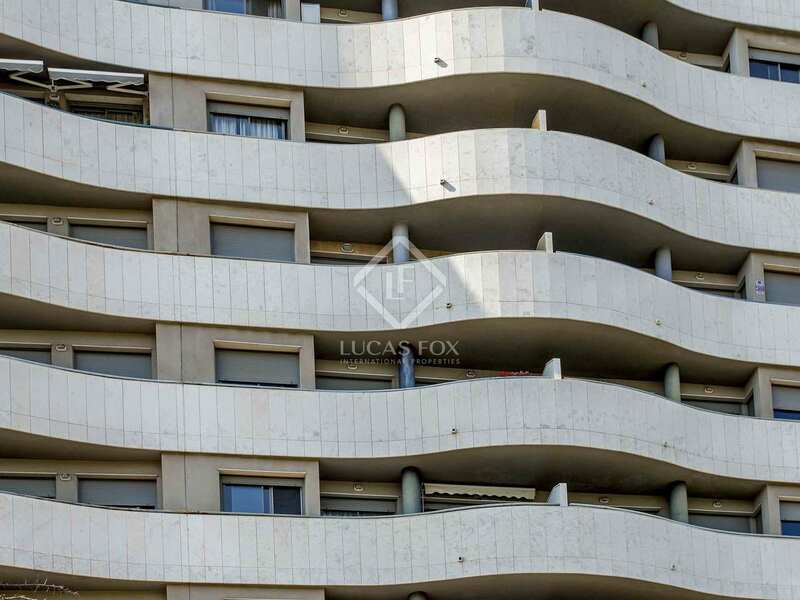 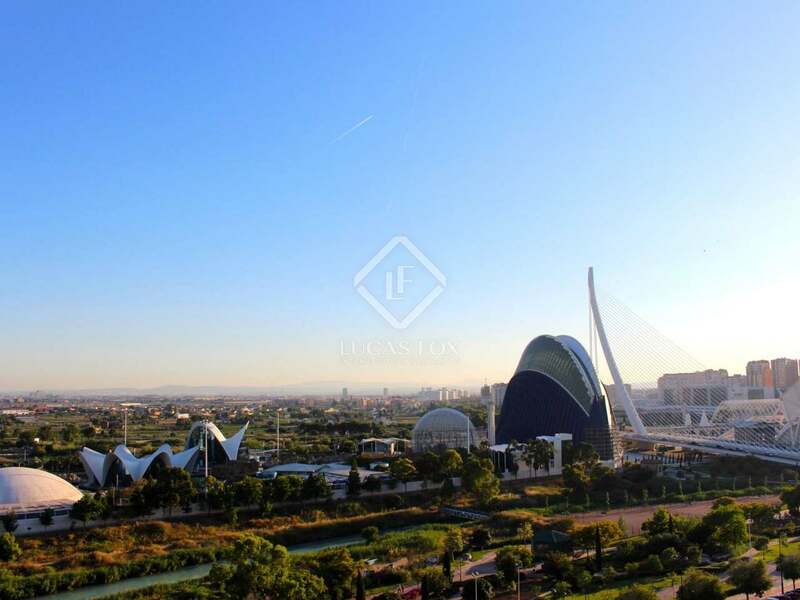 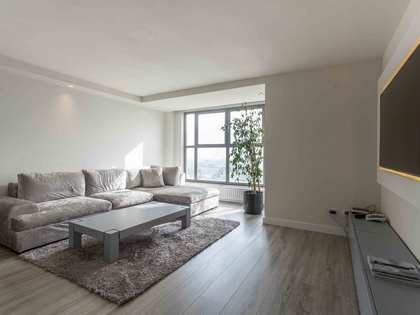 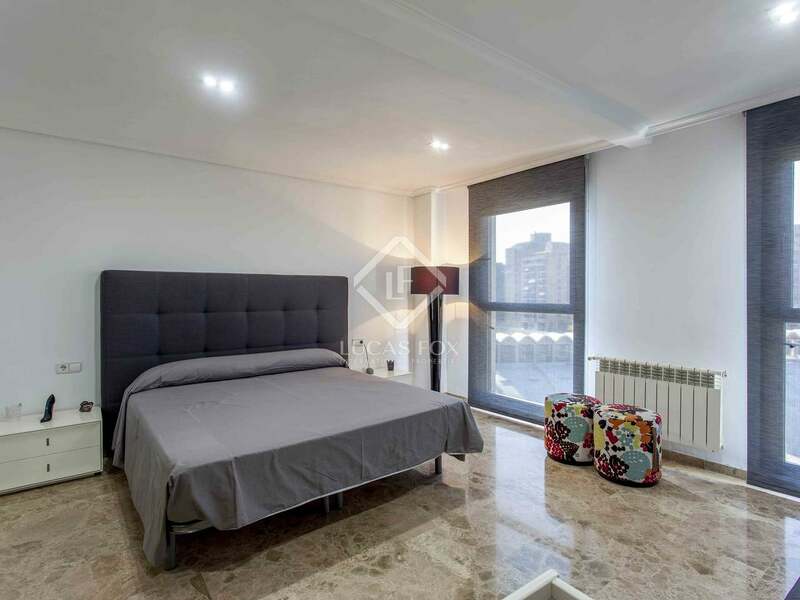 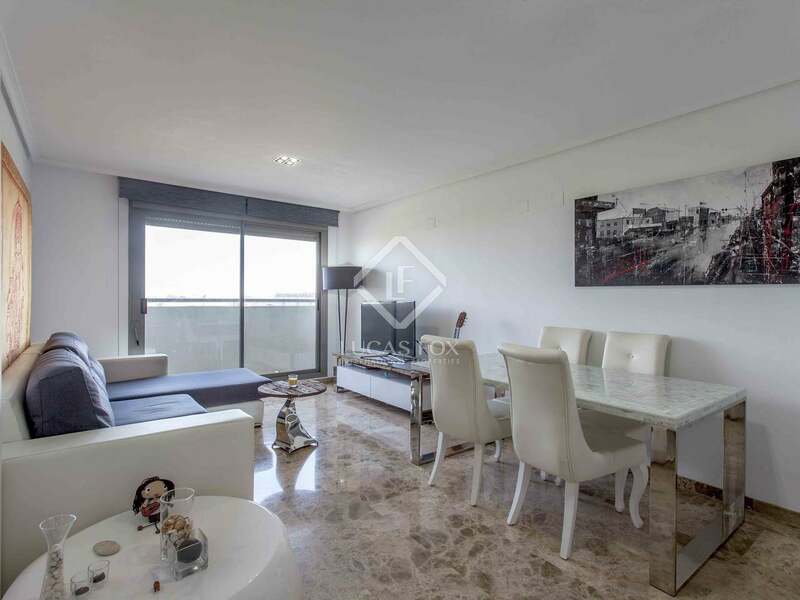 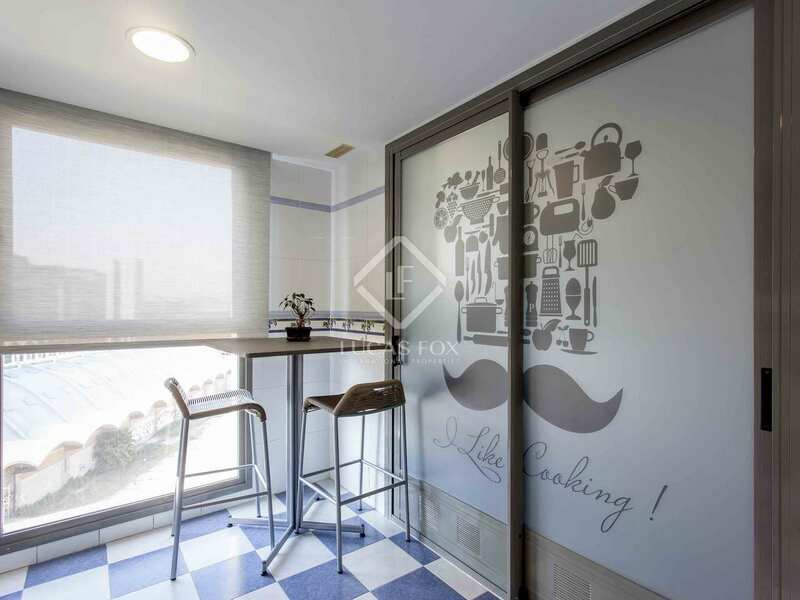 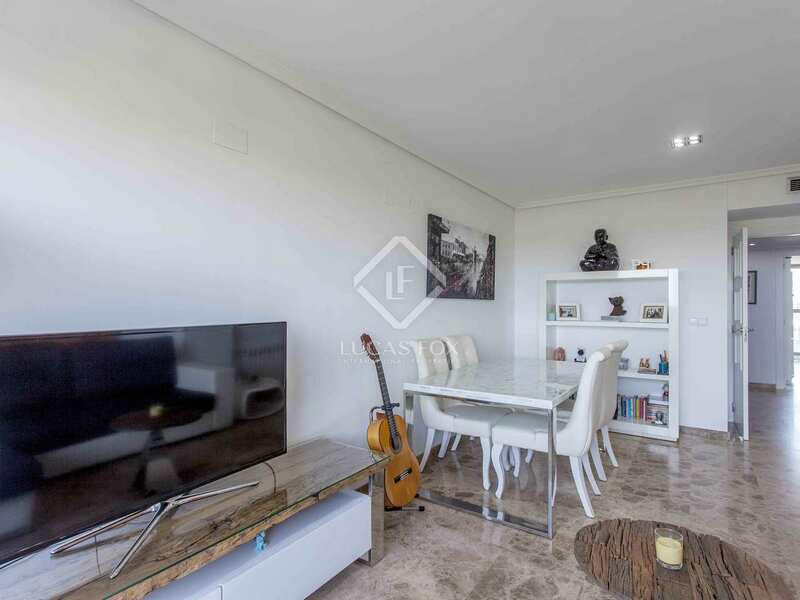 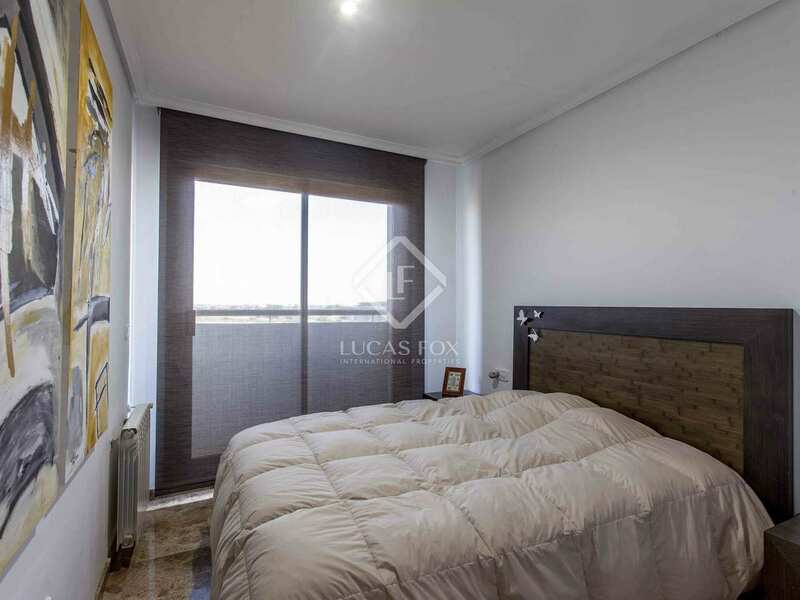 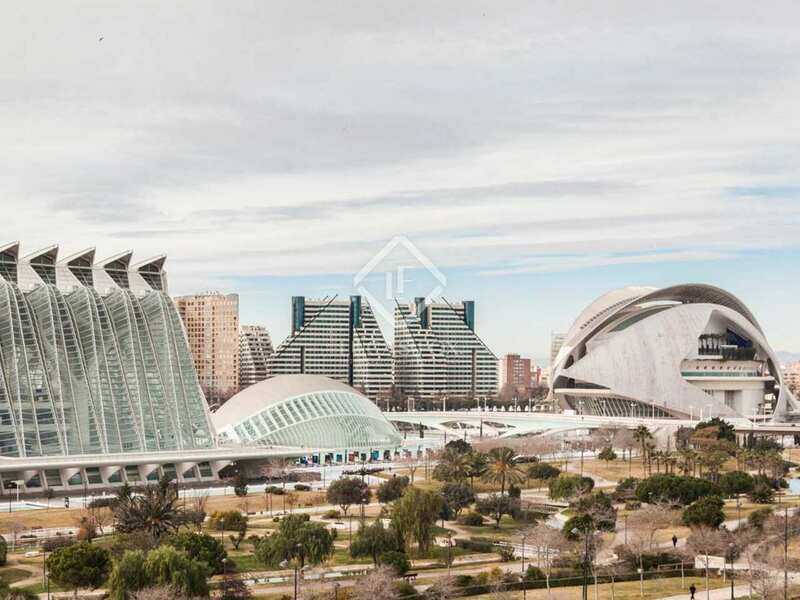 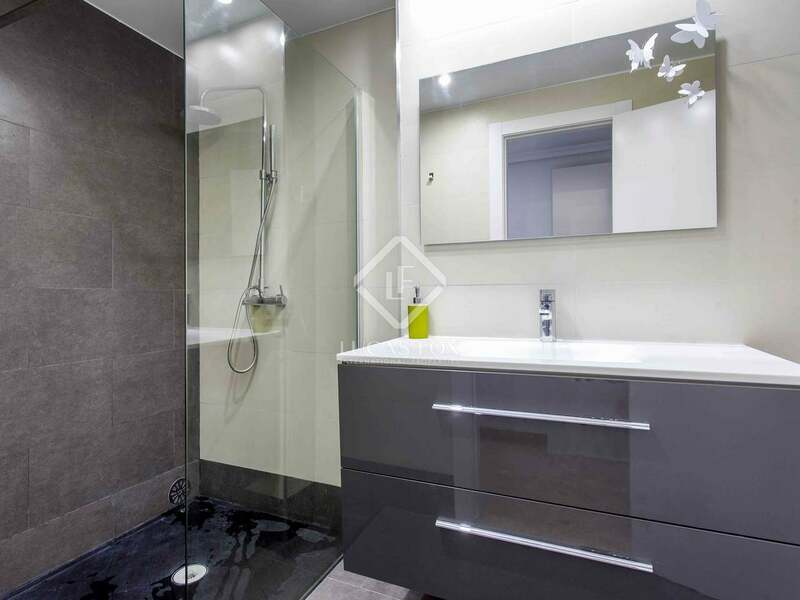 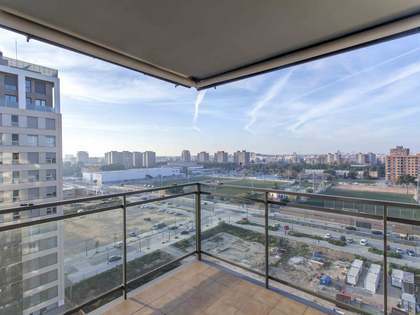 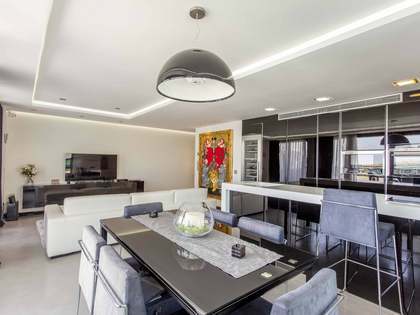 In the City of Arts and Sciences area in Valencia we find this modern property with excellent views of the architecturally impressive Oceanográfic aquarium and Turia riverbed. 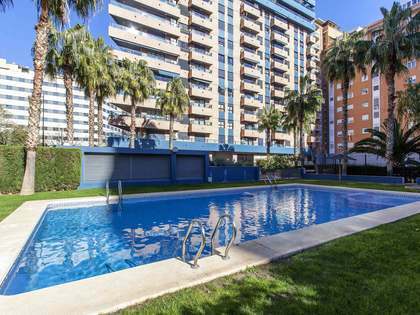 Located just a short walk from the Aqua commercial centre and the 'El Corte Ingles' store. 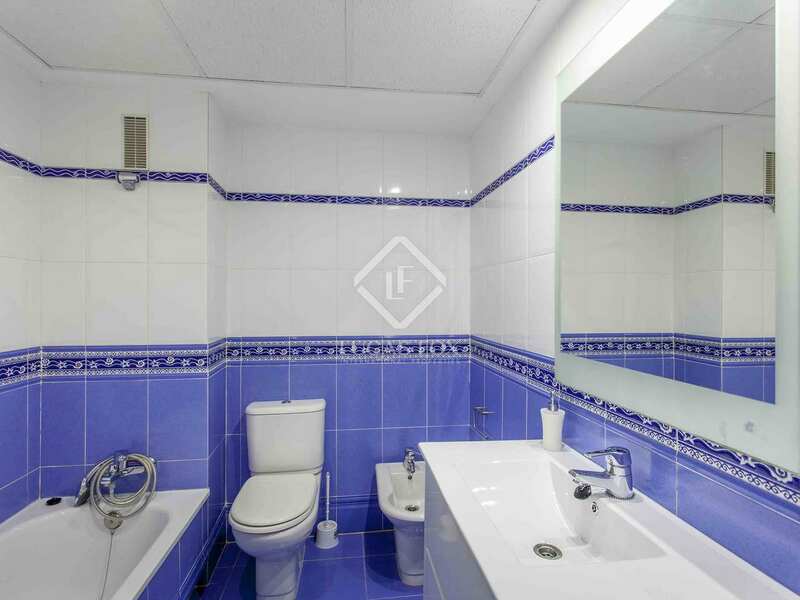 The property is accessed via a hallway which leads to a bright and attractive living-dining area with a balcony. 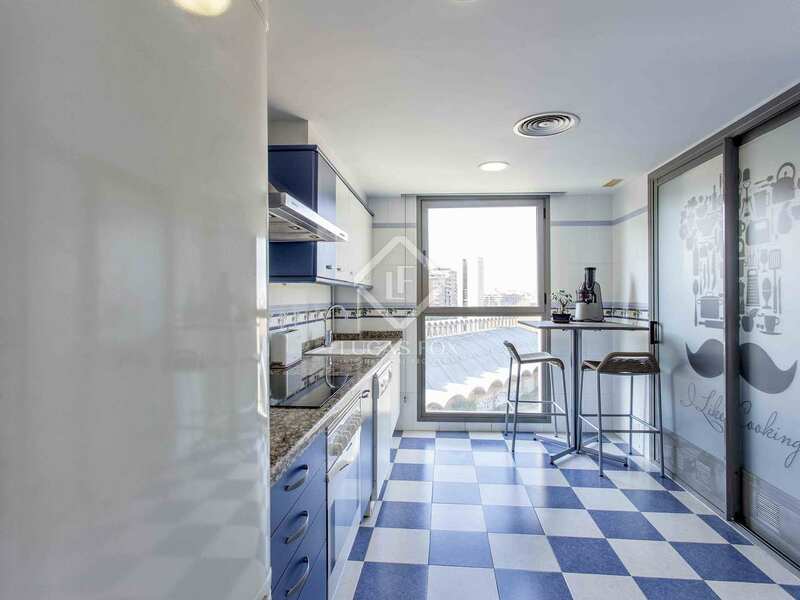 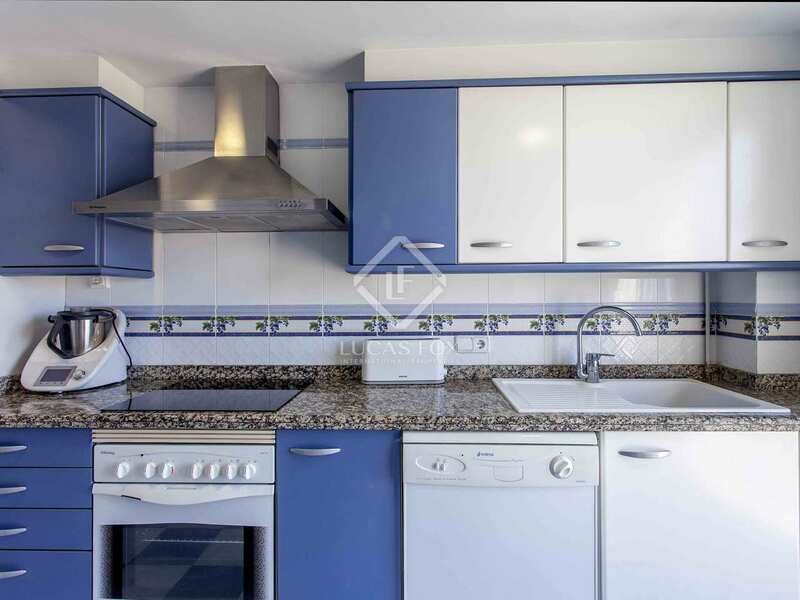 The kitchen is equipped with all appliances, a dining table and a gallery currently used as a washing area and which could be closed completely if desired. 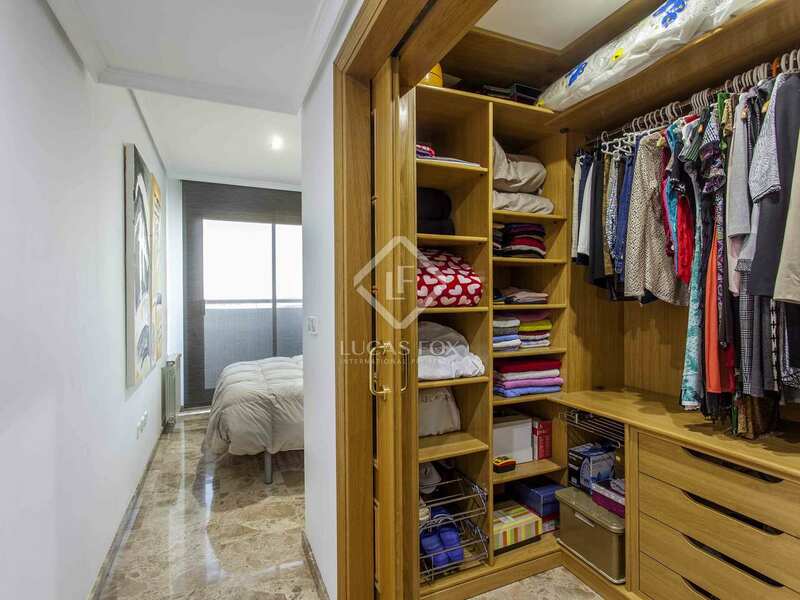 The master bedroom has access to a modern bathroom, wardrobe with dressing area and a balcony. The large second bedroom was originally 2 rooms making it an ample space with access to a second bathroom. 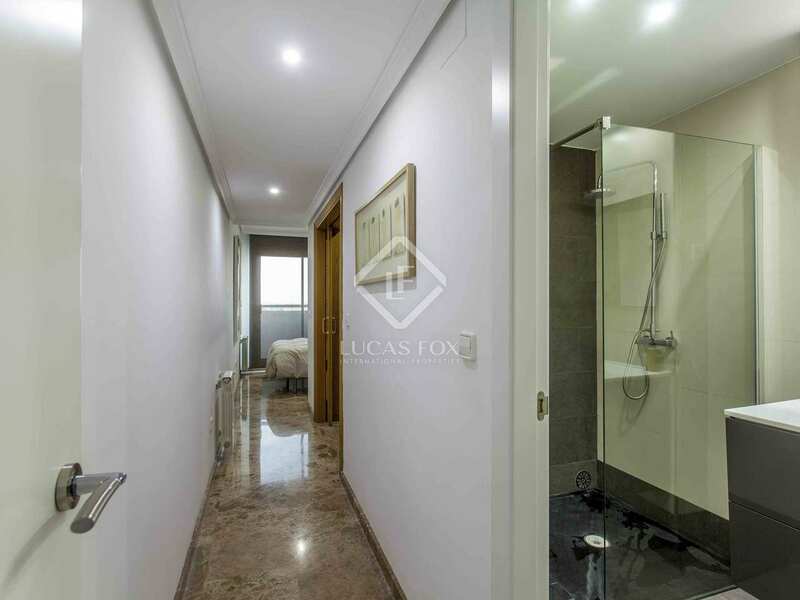 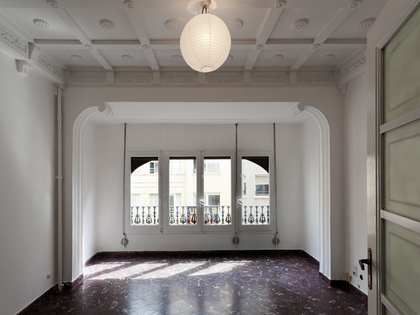 The property has LED lighting throughout, marble flooring, central heating and air conditioning. 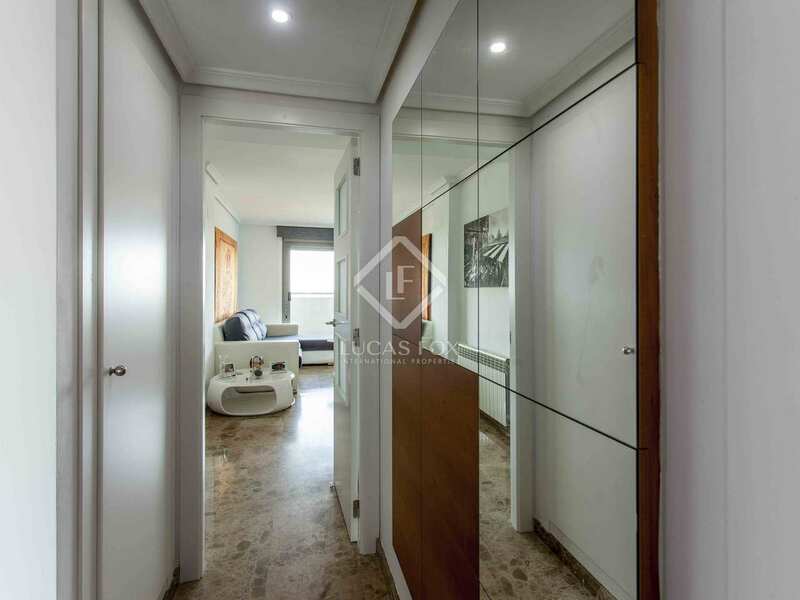 A garage parking space is also included. The apartment enjoys a peaceful location in one of the city's most modern areas. 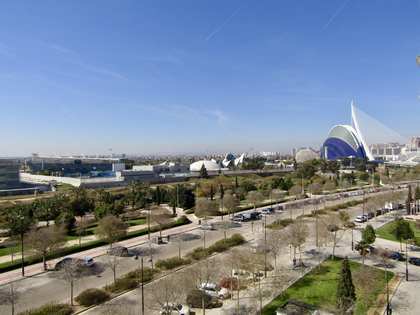 The City of Arts and Sciences has become an iconic landmark in Valencia thanks to its impressive buildings designed by the world renowned architect, Calatrava, and the lovely Turia gardens. 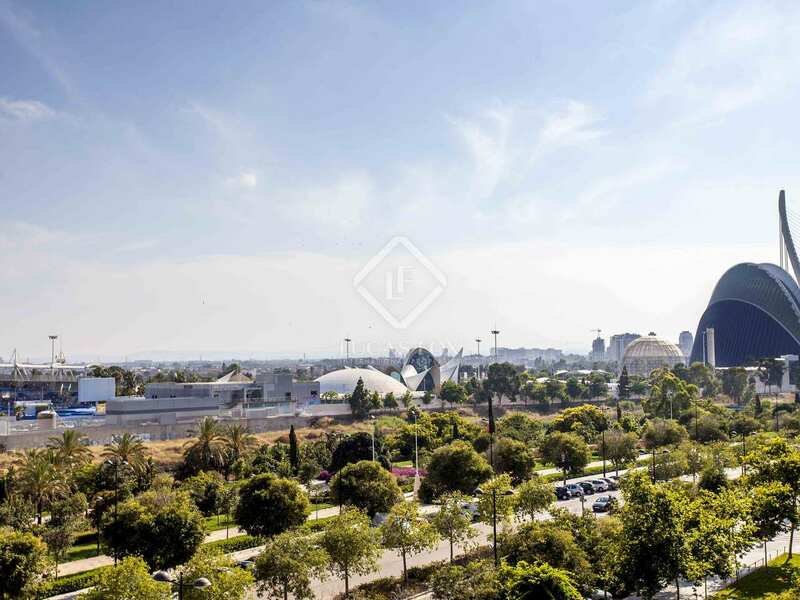 The area offers all necessary services for a comfortable lifestyle, including shops, bars and restaurants where you can enjoy the region's signature dish, the paella. 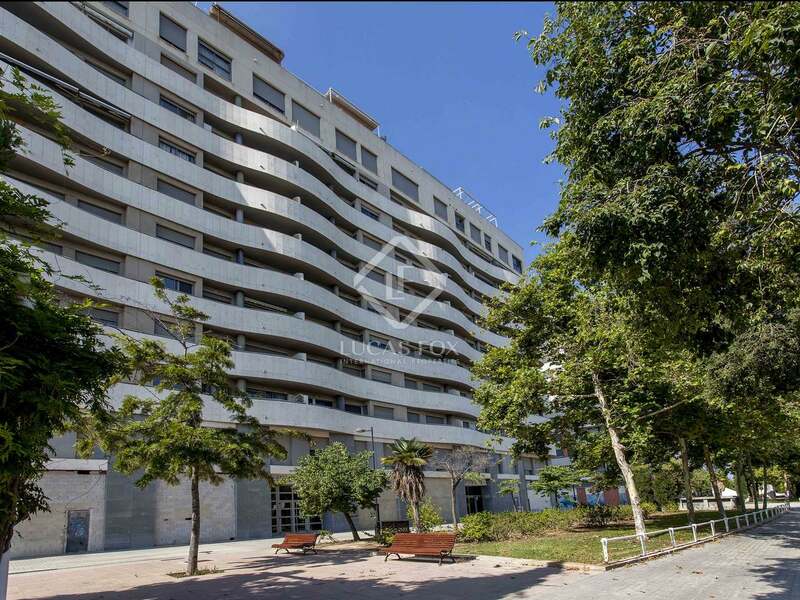 Just 10 minutes from the Marina and the Playa de la Malvarrosa to the north. 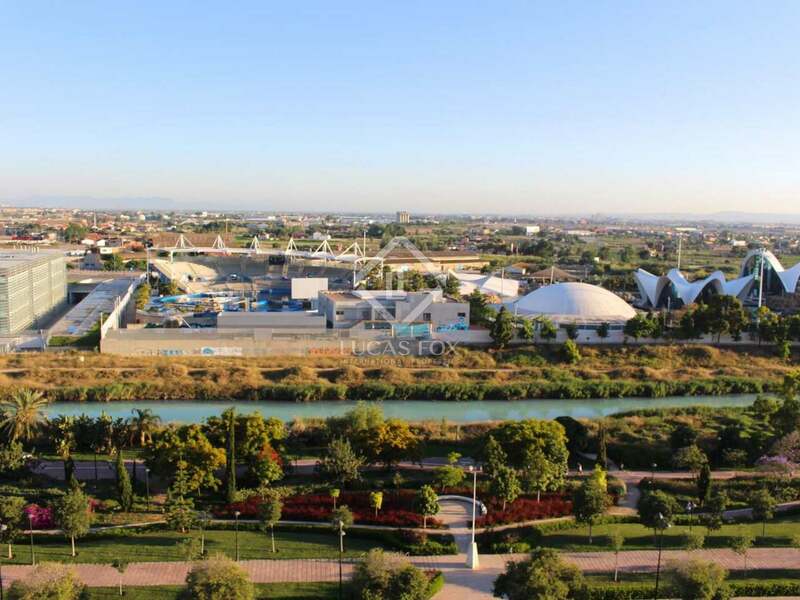 Albufera Natural Park is 15 minutes to the south.